Culinary experiences have long been a centerpiece of many of the highlights of visits to France and Scenic has always made sure to incorporate its importance in its offerings. Raising the industry standards even higher, as they have done so often in the past, Scenic is redesigning its France-based Space-Ships for 2017. Highlights include reducing the number of cabins/guest to 78/155 from the current level of 84/167 while keeping the same crew count for even greater personal service; two new 510 ft² Royal Owners Suites; larger wellness centers; a vitality pool; and a private cooking emporium offering tailored cooking classes. This is in addition to adding new Freechoice activities and Scenic Enrich experiences. The ships are the Scenic Diamond, plying the rivers of Bordeaux, and the Scenic Sapphire, which cruises the Rhône and Saône in the south of France. The new and exclusive Scenic Culinaire is an onboard cooking school using dedicated space to offer immersive courses in the culinary wonders of the Rhône, Saône and Bordeaux regions. The dedicated space will feature cooking stations and a cheese and wine cellar as well as real-time cameras and screens to ensure each participant can see every cooking move in detail. Fresh ingredients will be sourced from local markets and the cooking instructors will introduce guests to regional recipes based on the itinerary regions. Plenty of sessions are scheduled throughout the cruise, however with class size limits, guests are encouraged to register their interest early. As with all Scenic programs the culinary experiences are included in the price of the sailing. New Scenic Enrich experiences (these are exclusive to Scenic) include Scenic Rouge – performed under a big-top in Lyon where guests will enjoy a traditional French cabaret performance including the famous can-can, and an exclusive four-course dining experience with matched vintages at the acclaimed Mumm Champagne house in Riems. New Scenic Freechoice activities include a Tournon vineyard hike and wine tasting, and for the more active, three new cycling options in Caudebec, Arnhem and Bordeaux. Each itinerary in France has been designed to seamlessly connect across these diverse regions by air, rail or road, to deliver the ultimate French cruising experience. The Seine and Bordeaux and Seine and Rhône have been the most popular combination cruises while the new 10-day Douro river cruise combines easily with French itineraries. The 5-star Scenic Space-Ships offer all-inclusive luxury experiences – from private butler service and unlimited complimentary beverages and spirits including mini-bar re-stocked daily, to full-size private balcony staterooms – all making use of Scenic’s unique Sun Lounge technology – where the walkout open-air balcony can convert to an all-weather lounge with a push of a button, expanding the living area of the stateroom. On-board river highlights and on-shore experiences are made exceptional by the included Scenic Tailormade handheld GPS guided tour system provided to every guest. 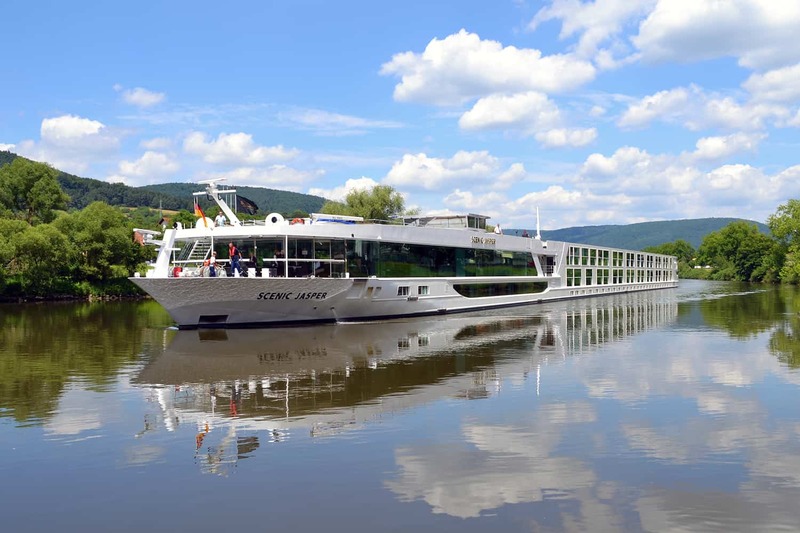 On board cuisine allows for up to six dining options, including the tradition of dégustation at Table La Rive, fine dining at L’Amour and the more casual fare at the River Café. As with all Scenic river cruises, guests will never have to reach for the wallet or purse as everything is included (except a haircut or massage): tips and gratuities, expert local guides, all Scenic Freechoice activities that allow for a more personalized vacation, plus Scenic Enrich events which are exclusive to Scenic and its guests, transfers, all meals, etc. Scenic offers award-winning, all-inclusive escorted tours in Europe, Australia, New Zealand, the Americas and elsewhere, while offering the same level of expertise and the only truly all-inclusive river cruises in Europe and the Mekong, Irrawaddy and Russia. Why Choose The Holland America Alaska Experience?